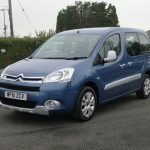 If you want a vehicle that is nice and compact, easy to use and with plenty of go, then this is the vehicle for you. 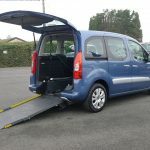 A wheelchair accessible vehicle that is very popular with wheelchair users and one of our top sellers. 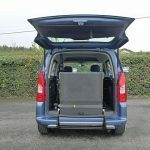 The conversion is by GM Coachworks and the vehicle has been adapted with a lowered floor and a two-piece, non-slip ramp with a generous width of 31.5 inches – great for that larger wheelchair. 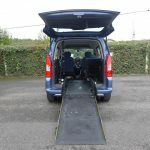 The wheelchair/wheelchair user is pushed in the back of the vehicle via the ramp and secured safely inside utilising the 4 point restraint system (including inertia belts with a no roll back function) and the lap and diagonal safety belts. 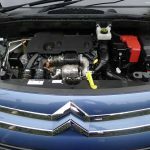 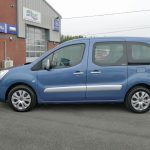 If you are new to this type of vehicle then it’s a must to check out the demonstration video contained in the ‘Advice’ section above and click on the ‘how easy is it to use………..’. 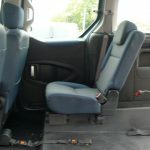 The rear seat can 1) Be folded forwards and out of the way creating more space for the wheelchair user to enjoy, 2) Can act as somewhere to place any essential items required by the wheelchair user or 3) as a seat, of course. 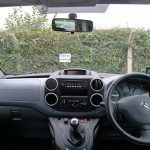 There is excellent all round visibility so that the wheelchair user can enjoy the scenery when out and about. 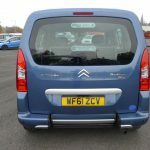 An easy vehicle to manoeuvre which is good to know making parking in supermarket, hospital car parks etc straight forward. 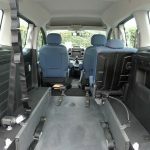 As already mentioned, this vehicle has plenty of go having a 1.6 cc diesel engine and manual gearbox. 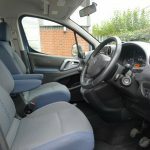 A lovely car to drive and again the Berlingo has plenty of features for its occupants to enjoy – arm rests, overhead storage shelf, front fogs and parking sensors just to name a few – take a look in the specification section on this webpage for a full list. 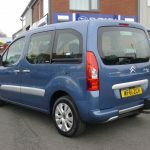 If you would like to know more about this WAV or any of our other quality vehicles, please give us a call and we can help guide you through the different options and ensure that you find that right vehicle for your particular needs. 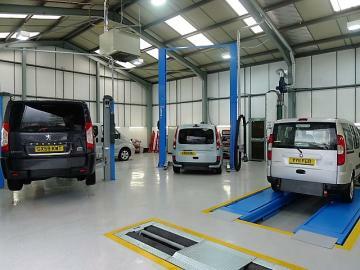 Our experts are always on hand.